The Eligible Candidates Are Invited To Apply For This Job Through Offline Application Mode. So Interested People Can Submit Their Properly Filled Application Within The Given Time Period. 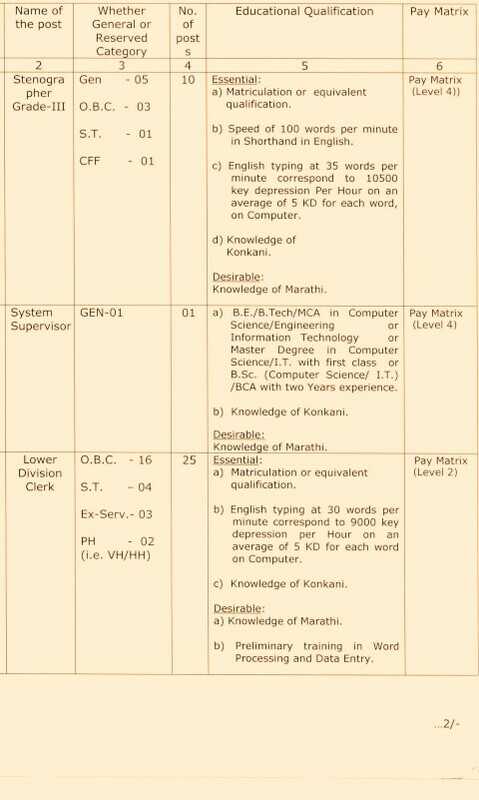 Various Vacancies →99 Vacancies, Kindly Do Check Out The Image's Below For Vacancies Distribution, Educational Qualifacation,Pay Matrix. (Credit- The Official Advertisement District & Session Judge, Goa). B. 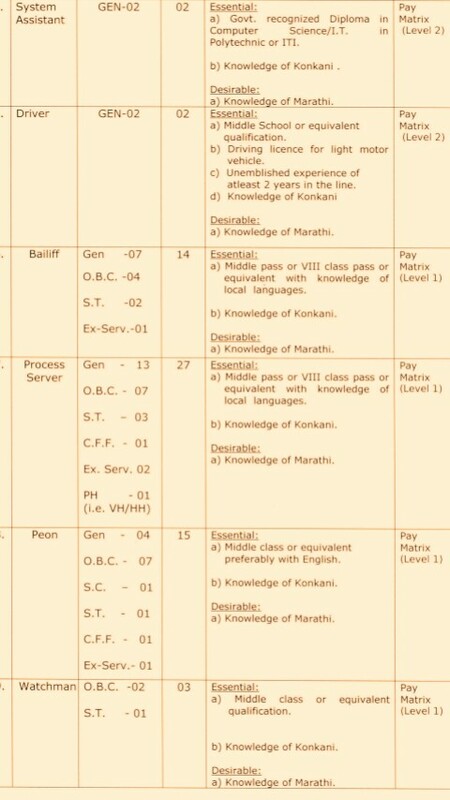 Eligible Criteria For Goa District & Session Judge Recruitment 2019. Age Limit →Should Not Exceed The Age Of 45 Years. Educational Qualifications → Check Out The Image's Above. Mode Of Examination/Selection Process →Typing Test/Interview/Comprehensive Test. How To Apply →Candidates Must Submit Their Properly Filled Offline Application Form To This Address/Time Period ~Office of the Principal District & Session Judge, South Goa, Margao, On Or Before 30th Of March, 2019. For More Info ±The Official Website. Click Here To Download An Official Advertisement. Click Here To Download An Official Application Form.